That’s fair enough, but before everyone breaks out in Iceland fever I think it’s worth pointing out a couple of things. First, Iceland has about the population of Bakersfield. So when they made foreign creditors take most of the losses in the wake of their banking failure, the rest of the world could afford to let it happen. There were no systemic risks involved. Also worth noting: the Icelandic krona got devalued a lot. In 2008 a euro bought 90 krona. Today it buys 160 krona. That means imports are a lot more expensive than they used to be. And state spending, although it went up in krona terms, was cut sharply in real terms. 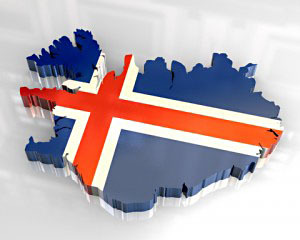 Iceland isn’t really an anti-austerity poster child. Iceland is certainly an interesting example of how to handle a financial crisis, and there may even be some lessons there for the rest of us. But I’d be pretty cautious about those lessons. What worked for Iceland doesn’t necessarily scale up to work for the rest of the world.